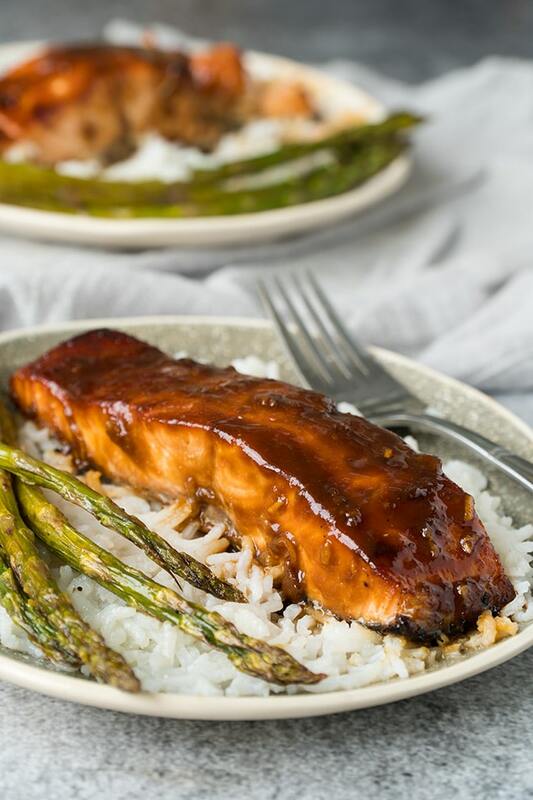 This Honey Miso Glazed Salmon is tender, flaky, light and bursting with flavor! With only 4 ingredients, this baked salmon recipe cooks in one pan and in about 15 minutes! 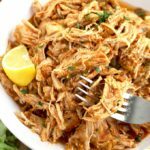 I love quick and healthy meals that come to the rescue during busy days. 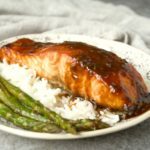 Just like my 20-minute Honey Ginger Salmon, this Miso Glazed Salmon is super easy to make and always a favorite meal at home. 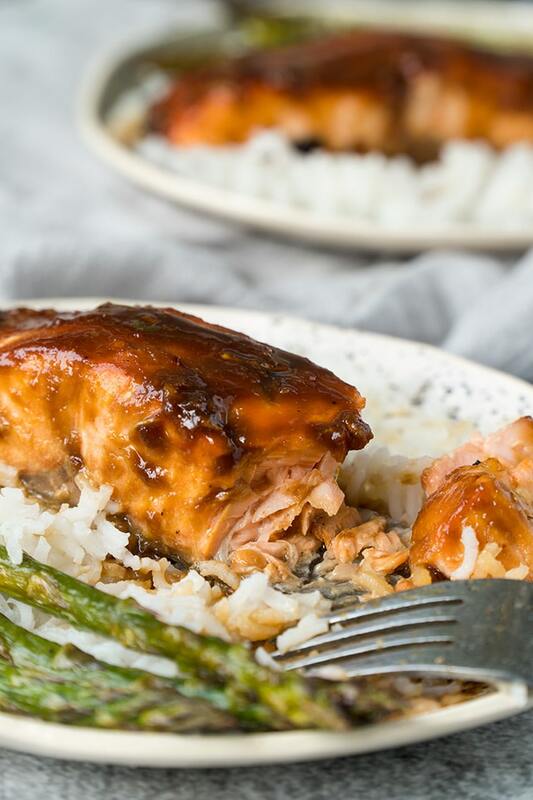 You can serve this Miso Glazed oven baked salmon for dinner over rice, with saute or grilled vegetables or simply shred it and make a great salmon salad for lunch the next day! 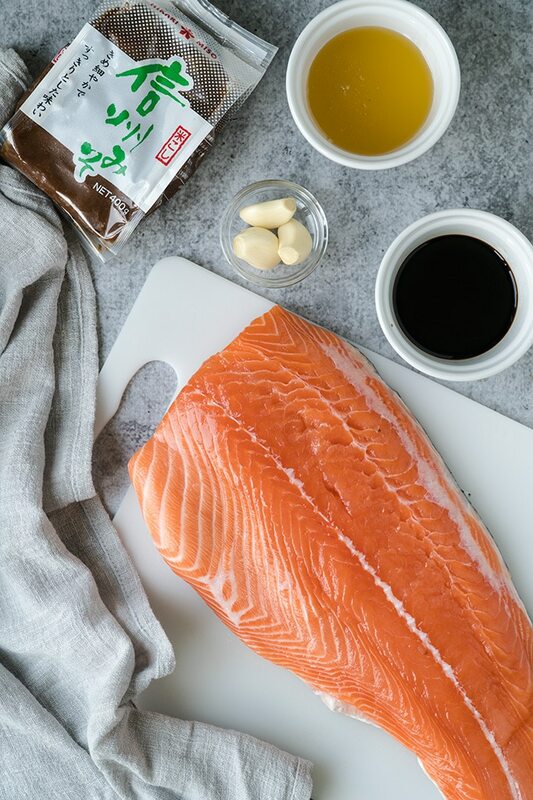 In this simple salmon recipe, the 4-ingredient miso glaze serves doubly duty. First, as a marinade for the fish and then as a sauce poured over the cooked salmon. 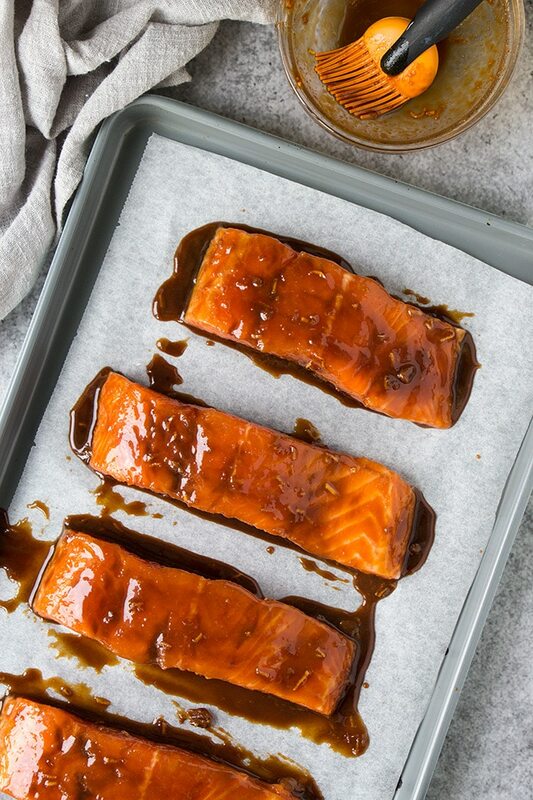 This Honey Miso Glaze is absolutely delicious and full of umami flavor! Miso is a traditional Japanese condiment made by fermenting rice, barley and or soybeans. Most of the miso sold in the United States is either white or red. Each one of these pastes have a slightly different flavor and color. Lighter miso usually indicates less time of fermentation and lighter flavor. 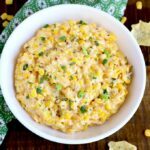 Miso as all fermented foods is a great probiotic and helps improve digestion. Miso paste is now available in most supermarkets and even super centers. It is found in the refrigerated area. Salmon is best cooked at high temperature for a short time. This is why oven baked salmon and grilled salmon always turn out so flaky and tender. In this recipe the roasted salmon is perfectly cooked until fairly pink in the middle and moist. I am providing instructions for cooking this Miso Glazed salmon in the oven or on the grill in the recipe card below! 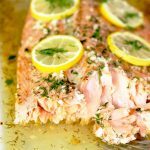 For succulent, flaky baked salmon I like to set the oven temperature to 400 degrees. Line a sheet pan with parchment paper or aluminum foil and spray it with cooking spray or brush it with olive oil. Place the marinated salmon fillets on the prepared sheet pan and bake. If your salmon has skin, place the skin side down. Baking time will depend on the thickness of the filet. Keep in mind that salmon cooks fast (about 10 to 15 minutes). For this recipe, after baking, broil the salmon for 1 – 2 minutes or until the top is lightly golden. Place the salmon fillets on an oiled grill rack or grill pan and grill for about 4 – 6 minutes on the first side. The salmon will release itself from the grill when is ready to be turned. Don’t fight it! Flip and cook the other side for about 3-4 minutes or until is cooked through and flakes easily. Exact cooking times vary depending on the size and thickness of your salmon fillets. Typically, it takes about 4 to 6 minutes to cook a 1/2-inch thick piece of salmon in a preheated 400 degree oven. Bake your salmon until cooked through but still a bit pink in the middle. The fish should be flaky. 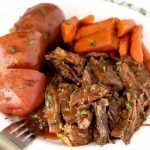 When checking with an instant-read thermometer it should read 120°F to 130°F for medium-rare or 135°F to 145°F for medium and well-done. Always check the internal temperature by inserting the probe into the thickest part of the fillet. 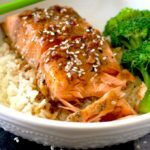 Even though I listed white miso in the ingredients list, you can make this Miso Glazed Salmon with red miso if you wish. I like to marinade the salmon for about 10 to 30 minutes before cooking it. However, if you are pressed for time you can skip the marinating time and bake your salmon right away! 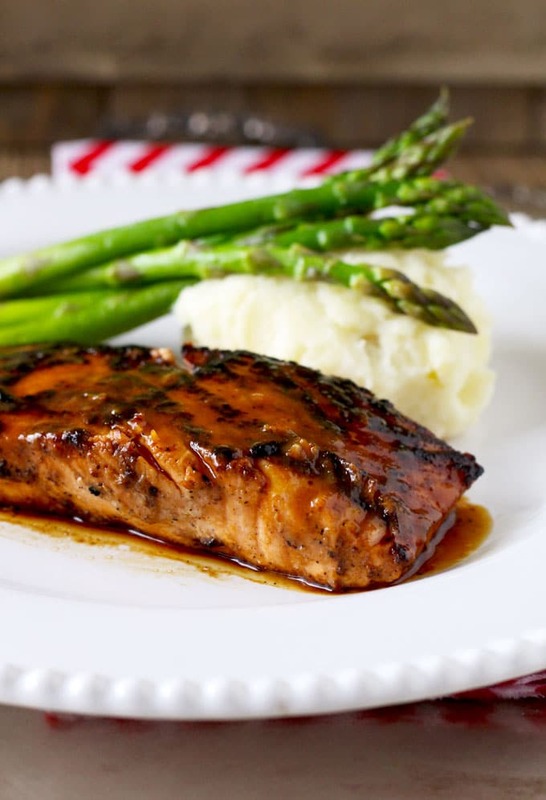 WANT TO TRY THIS HONEY MISO GLAZED SALMON? To prepare the miso glaze, in a bowl, whisk together the honey, white miso, soy sauce and grated garlic until well incorporated. Reserve about 3 tablespoons of the miso glaze to pour over the baked salmon. 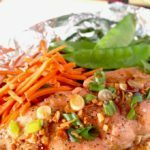 Line a baking sheet or baking dish with aluminum foil or parchment paper. Spray with cooking spray or coat the bottom with a little bit of oil (olive oil or canola oil) to prevent the fish from sticking. Place the fish on the baking sheet (skin side down if your salmon has skin) and pour the glaze making sure both sides of the fish are covered by the glaze. Allow the salmon to marinade at room temperature for 10 minutes (or up to 30 minutes in the refrigerator) before cooking. Preheat the oven to 400 degrees Fahrenheit. 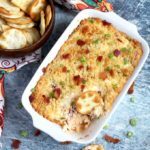 Bake the salmon for approximately 10-15 minutes (depending on the size of your salmon) or until the salmon is cooked through and flakes easily with a fork. Turn the broiler on and broil for 1 to 2 minutes or until the salmon top is lightly golden. 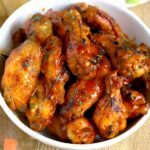 Remove from the oven and drizzle or brush with the remaining 3 tablespoons of glaze. Let it rest for a few minutes before serving. 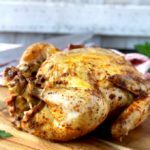 Preheat the grill or grill pan to medium high. Place the salmon fillets on an oiled grill rack or grill pan and grill for about 4 - 6 minutes on the first side. The salmon will release itself from the grill when is ready to be turned. Flip and cook the other side for about 3-4 minutes or until is cooked through and flakes easily. The salmon should still be a little pink in the middle. Remove from the grill and drizzle or brush with the remaining glaze. Let it rest for a few minutes before serving. Cook until the salmon is cooked through but still a bit pink in the middle and flakes easily. About 4 to 6 minutes for every 1/2-inch thickness of salmon. 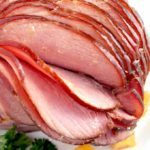 An instant-read thermometer insertes into the thickest part of the fillet should read 120°F to 130°F for medium-rare or 135°F to 145°F for medium and well-done. 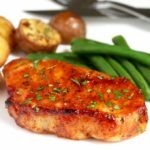 This is my go-to salmon recipe. 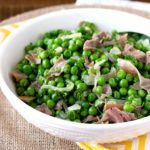 Love the Asian flavor and that it is so healthy.